The process of exiting the European Union (EU) could worsen the social care crisis if the UK government does not protect access to personal assistants (PAs) from EU countries, disabled peers have warned. They told a work and pensions minister that uncertainty over the “Brexit” negotiations with fellow EU members was leading to “terrible uncertainty” among the thousands of disabled people whose PAs are citizens of other EU countries. But peers heard that there was not a single mention of disabled people or disability in the government’s white paper on Brexit. The disabled crossbench peer Baroness [Jane] Campbell told the Lords debate on the impact of Brexit on disabled people – secured by the Liberal Democrat peer Baroness Scott – that she had employed PAs from at least 10 EU countries in the last 25 years. 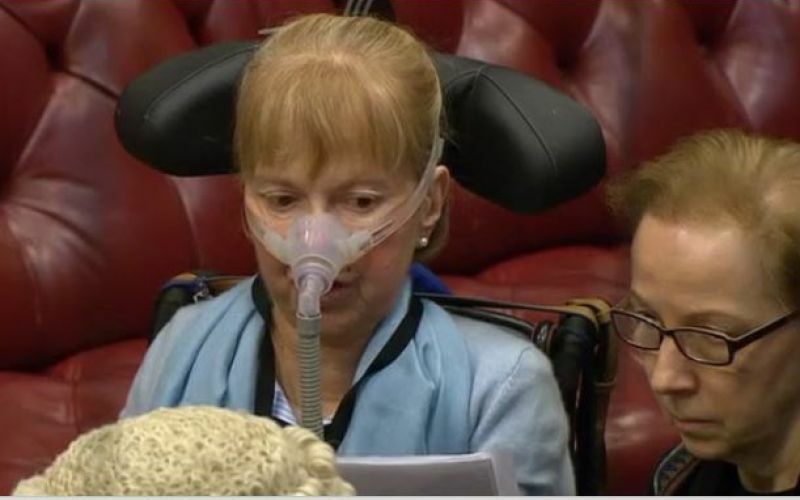 Baroness Campbell (pictured) told fellow peers that other disabled people who employed PAs had told her that the pool of potential employees was “drying up”, while demand continued to rise, which meant the EU workforce was an “essential supplement”. She said that John Evans, one of the founders of the UK independent living movement, and of the European Network on Independent Living, had told her that he had employed PAs from 15 EU countries in the past 34 years. Evans said he feared that this would mean having to return to residential care, 34 years after he was liberated from a Cheshire Home. Baroness Campbell told the debate: “We constantly hear about the threat to the NHS if restrictions to work in the UK are tightened. Baroness [Celia] Thomas, the disabled Liberal Democrat peer, who speaks for her party on disability issues, said: “There is now a terrible uncertainty about what will happen in the future. “Will we have reciprocity for all the working people from the EU who are settled in this country to stay after Brexit? The crossbench disabled peer Baroness Masham said: “I am very concerned when I hear members of the government say that we want to let in only the brightest people when Brexit takes place. This will be a disaster for disabled people who need help. “We have many disabled people, some of whom can work, but they need carers who can help with personal care and mobility. The debate also heard of fears that disabled people could lose several important legal rights if the UK left the European single market as well as the EU. The disabled crossbench peer Lord [Colin] Low said that EU measures that ensure accessibility has to be considered when awarding many public contracts “offer a substantial lever for improving accessibility and bringing about change”, while another EU directive ensures the accessibility of public sector websites. He also pointed to a proposed EU directive that is set to “harmonise accessibility requirements across the EU for a wide range of goods and services”, including smartphones, computers, ticket machines, cash machines, retailers’ websites, banking and e-books. He said: “From the point of view of disabled people, there can be no doubt that it would make sense for the UK to remain a member of the single market. Baroness Scott said she feared that Brexit would lead to a “rush to deregulation”, which would “reduce the statutory protections available to disabled people, especially with regard to employment and access rights”. 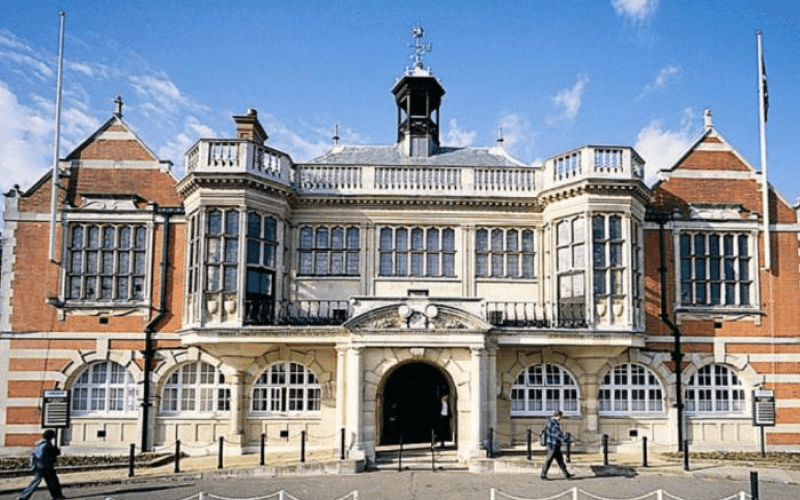 She said she was particularly concerned “about hard-won rights in the fields of, for example, product design, air and rail travel, employment, building accessibility, public sector website accessibility and many others”. The Conservative work and pensions minister, Lord Henley, provided few clues as to which rights the government wanted to protect, but insisted that it had a “firm commitment” to “maintaining the United Kingdom’s strong and long-standing record of protecting the rights and traditional liberties, and to supporting disabled people to fulfil their potential”. He said that he could “assure the House [of Lords]of the protections covered in the Equality Act 2010”, but then failed to say whether the government would maintain all of those protections after the UK left the EU. He said it was “important that we understand the impact of any changes that we make on the different sectors of the economy and the labour market, including on health and social provision” and that “this is a matter that will be foremost in our minds in negotiations”. Lord Henley said that Department for Work and Pensions civil servants were in discussions with officials in other departments “to ensure that disability issues are given due consideration”.